An electric simulation table (sometimes also known as multi axis shaker table) is a dynamic 6 DOF motion system designed to perform research and development tests and driver trainings. Position, velocity and acceleration are controlled by the system through integrated control hardware and software. 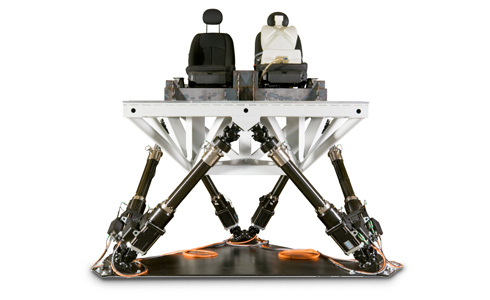 Typical tests performed with the Electric Simulation Table are driving simulation, ride and comfort testing, qualitative evaluation of human response, vehicle components (e.g. fuel tanks), NVH (noise, vibration and harshness), BSR (buzz, squeak and rattle testing), functional testing (e.g. turret and antenna testing) and medical research.